All of us have 'blue' days from time to time. We can be affected by the weather, stress, change, physical factors, too little sleep and so on. It is just part of the ebb and flow of life. But luckily, for most of us, these days are occasional and come and go without a lot of effort on our part. Just try, for a moment, to walk in the shoes of a senior. Most are retired and have a different financial reality. Some have good health and a lot do not. Many seniors have experienced the loss of their spouse or partner and consequently have changed their living accommodations. Inherent in all of these life altering situations is a huge potential for depression. Our life's work, although all consuming, does define us, giving us a sense of purpose and a grounding through routine. We long for retirement, but then when it comes, it often leaves a void and causes a dip in self esteem. Declining health, vitality and mobility is a huge change to accept gracefully and without emotional backlash. It's funny how, as we age, we do not see ourselves differently. Mentally, we live in our "I can do anything' years, and then when we hit a physical roadblock, unable to do something that we always did with great facility, we are shocked and disappointed. As this decline progresses pain medication and surgery often become necessary. Certainly not the least of the challenges facing seniors, is the loss of key people on their lives. Even the most stalwart among us, those that we have all depended on all our lives, can falter with these enormous losses. Loneliness can be devastating and a change of residence, leaving a home that they have lived in for decades and loved can lead to enormous grief. Now the picture painted above is certainly heavy and cheerless, and in all honesty, does not represent all seniors. But it is very important that we realize the potential for depression in our elders, for it can be the best of times or the worst of times for them. If you suspect that your senior has depression there is plenty of professional help of help for all of you. 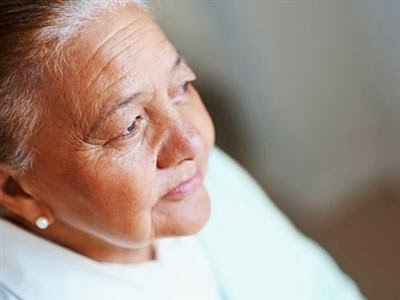 As a caregiver you need information and as a senior with depression they need treatment and counseling. Growing old is not for the faint of heart. As a nurse, I can not believe the changes one needs to cope with as the decades slip by.